As I mentioned, last week I was off work for fall break. My mom came into town a few days before our family made-up holiday of Practice Thanksgiving. Since the boys were still in school, and it was too early to start prepping for the feast, we took a day for ourselves. 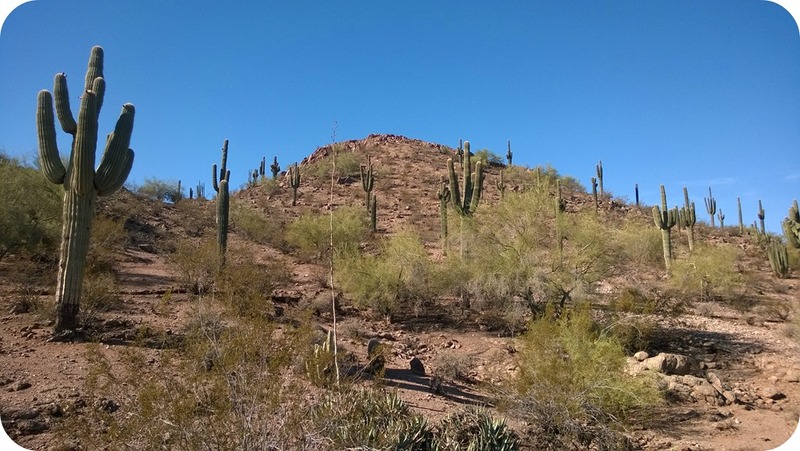 We went to the Desert Botanical Gardens, among other places. We are members at the garden and it is the place where Husband and I got married over thirteen years ago (wow, has it been that long!). I have gone there more times that I can count and each time I see something that leaves me in awe at the reliance and beauty of the plants that grow here. The plants that thrive here. It was a quiet morning in the garden as it was a weekday and we did not have the boys in tow. The boys do not do quiet well. We stood for many minutes watching a cactus wren build a next of grass and twigs in the prickly embrace of a tall cholla cactus. 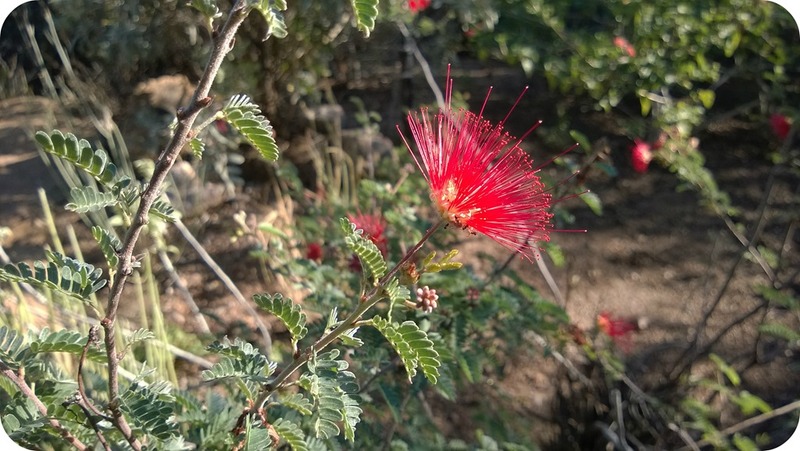 We saw a pair of hummingbirds, dancing in ever tightening circles, fly up, over, around, and finally through the branches of a green trunked palo verde tree. We sat in simple, low slung fabric chairs in an overlooked corner of the gardens and talked – of nothing and everything. 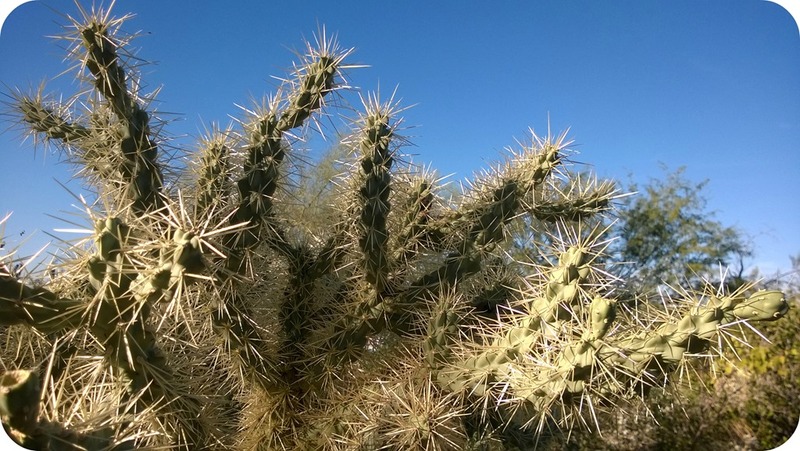 The desert is a complicated beautiful – a mixture of persistence, heartache, and loneliness. I do not think I will ever tire of looking at it and being a part of it. 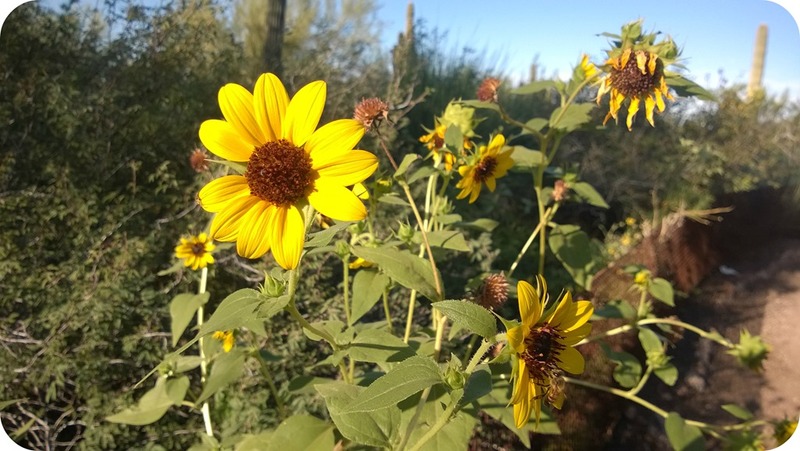 This entry was posted in The Great Outdoors and tagged Desert Botanical Gardens, Life, Outdoors, Phoenix, Photography, Practice Thanksgiving. Bookmark the permalink. It never gets old, taking pictures of what grows around here. I especially love the contrast of the splashes of wildflowers upon the browns of the ground and sharp angles of rocks and mountains. It looks like a great place. I love that red flower. It truly is! Thank you. I liked that red flower so much I put it as the picture on my desktop. Only then did I notice the small group of two three ants clinging to the stem right at the base of the flower. It is amazing the quality of pictures that my cell phone can take (especially since I don’t know much about photography!). Are they cell phone photos? I assumed they were from a ‘real’ camera! Yup – straight from my phone. It took me a while to convert to trusting my phone with pictures, but I don’t remember the last time I left the house with a “real” camera. With every new phone that comes out I think the quality of photos seems to get better and better.